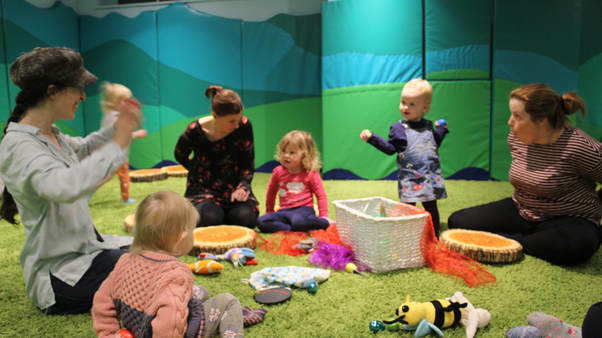 Baby songs, rhymes and activities in the twinkling lights of our beautiful sensory room. Includes relaxed time to meet other parents and enjoy the sensory lights. Every Monday at the World of Wonder, Newland Avenue, 11-12. Every Monday at the World of Wonder, Newland Avenue, 10-11. Every Tuesday at Rock Up, 10.00-10.45. Soft play afterwards for just £1 extra. Discover classical music using a rainbow of beautiful resources and instruments. Every Tuesday at Rock Up, Hull City Centre, 10.45-11.30. Soft play afterwards for just £1 extra. Every Monday at the World of Wonder, Newland Avenue, 12-1.